In his major investigation into the nature of humans, Peter Sloterdijk presents a critique of myth – the myth of the return of religion. For it is not religion that is returning; rather, there is something else quite profound that is taking on increasing significance in the present: the human as a practising, training being, one that creates itself through exercises and thereby transcends itself. 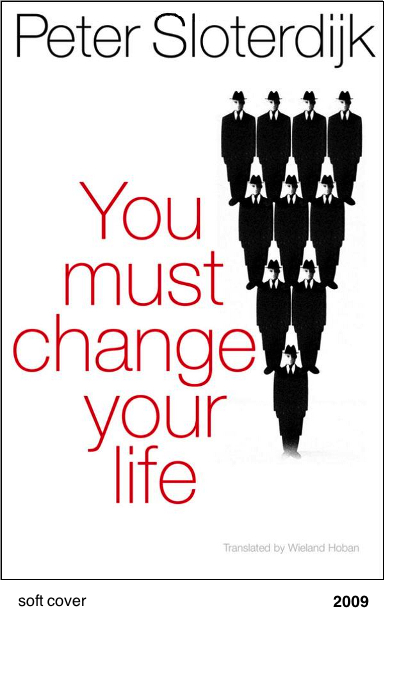 Rainer Maria Rilke formulated the drive towards such self-training in the early twentieth century in the imperative ‚You must change your life‘. It is those humans who engage expressly in practice that embody this mode of existence most clearly: farmers, workers, warriors, writers, yogis, rhetoricians, musicians or models. By examining their training plans and peak performances, this book offers a panorama of exercises that are necessary to be, and remain, a human being.